Heat oil in a kadhai and temper mustard seeds. Add dry red chili and saute a while. Remove from the heat. 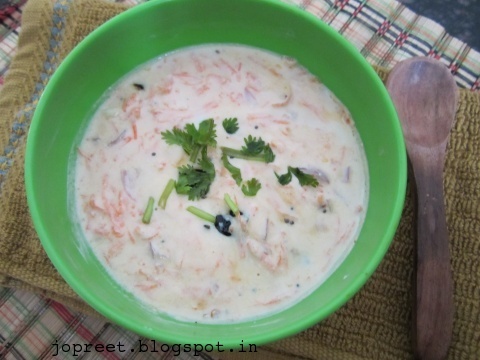 Mix grated carrot, chopped onions and thick curd in a mixing bowl. Add tempered mustard seeds & red chili to it. Mix well and add salt to taste. 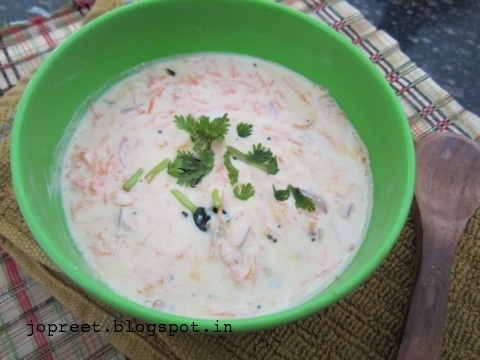 Serve with biriyani or roti.